The landline telephone remains a trusted and reliable means of communication. Call on him with other PSTN and cell phones. The main thing is to dial the number. To call from one city to another phone after taking off the handset, wait for dial tone, dial 8, and after it you will hear another beep. Dial the area code then subscriber number. Wait for a response. In the small towns to call within a single code often don't need to dial no 8, no code - just the number. In the largest cities to gain both, even when calling within the same code, but the codes for one city may be more than one. If the code is your phone's one but the callee is another, but the call happens within the same city, the per-minute costs typically corresponds to the inner city. To call from a mobile phone to the fixed dial all the numbers together: 8, city code, subscriber's number. Figure 8 can be replaced by +7 and the method set of plus depends on the phone model. Usually it requires a long time to hold zero, or on other devices twice quickly press the asterisk. Note that the cost of a call depends not only on what city you are calling, but also where you are yourself: in the home region (that is, where the acquired SIM-card) or in the other. 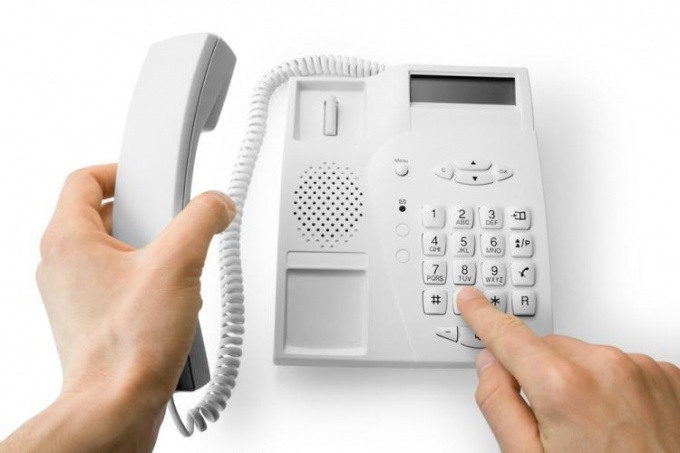 If you are calling from the phone connected to the PBX, first dial the combination of numbers corresponding to an output on a city line. It depends on the model and settings of the PBX. Then dial 8 (sometimes not needed), area code and subscriber number. The need to wait for hooter after a set of any numbers also depends on the settings of the PBX. Access to long-distance can be locked, and if not, before making any such calls will receive a preliminary permission of the administration of the organization. Some mobile operators allow unlimited (or limited to a certain number of minutes per day) calls to city numbers at much more favorable terms than the full unlimited tariffs. Find support from your provider, whether he provides this service.